In the early 1940s, with the world locked in the bloodiest conflict in human history, scientists in Germany, Great Britain, the United States and Japan struggled to unlock from the atom a weapon of almost inconceivable power. This race to turn theory into devastating reality formed a secret subtext to the war that destroyed millions of lives using industrial warfare. In the area of theoretical physics, Japan was as advanced as her European and American rivals. She lacked only the raw materials and the sheer industrial excess to turn those materials into an atomic bomb. But Japan’s war machine was nothing if not resourceful. Since 1940, the Japanese had been aggressively researching the science of the nuclear chain reaction. Dr. Yoshio Nishina had been nominated for the Nobel Prize for his pre-war work in nuclear physics. Now he and a team of young scientists worked tirelessly at the Riken, the Institute of Physical and Chemical Research, to beat the Americans to the bomb. After two years of preliminary research, the atom bomb program called F-Go began in Kyoto in 1942. 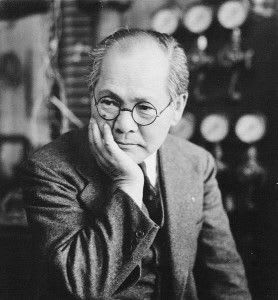 By 1943, Japan’s Manhattan Project had not only produced a cyclotron that could separate bomb-grade uranium, but also had developed a team of nuclear scientists with the knowledge to unleash the atom’s unknown power. As America built a uranium enrichment plant in the Washington desert so enormous it drew every watt of electricity from the Grand Coulee Dam, the Japanese scoured their empire for enough raw uranium to make their own bomb, with only limited success. Japan looked to Nazi Germany for help. 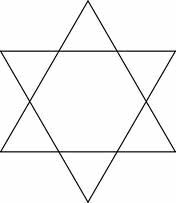 The Nazis, too, had been pursuing the nuclear bomb. But, by early 1945, the Allies were on the Rhine and the Russians had taken Prussia. In a last-ditch effort, Hitler dispatched a U-boat to Japan loaded with 1,200 pounds of uranium. The submarine never arrived. American warships captured it in May 1945. Two Japanese officers on board the submarine committed suicide and the shipment of uranium was diverted to Oak Ridge, Tennessee, for use in the American Manhattan Project. Without the uranium, Japan could not produce more than one or two small atomic bombs. As the bomb programs in both countries neared completion in 1944, General Douglas MacArthur’s island-hopping campaign drew closer to Japan’s home islands. Fleets of B-29 bombers rained fire on Tokyo and other major cities. Nishina had to move his effort to the tiny hamlet of Hungman in what is now North Korea. The move cost the Japanese program three months. On August 6, 1945, the Enola Gay dropped a single atomic bomb over Hiroshima. The blast killed more than 70,000 people outright, and in the days and weeks to come thousands more succumbed. 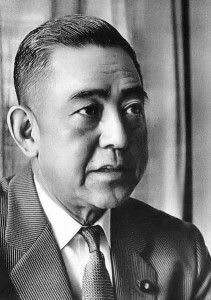 When word of the blast reached Nishina, he knew immediately that the Americans had beaten him to the prize. But he also had implicit confirmation that his own atomic bomb could work. Nishina and his team worked tirelessly to ready their own test. Historians such as Robert Wilcox and Atlanta Journal Constitution writer David Snell believe that they succeeded. Wilcox writes that on August 12, 1945 - three days after the Nagasaki bombing and three days before Japan signed the articles of surrender - Japan tested a partially successful bomb in Hungnam. By then the effort was merely symbolic. Japan lacked the means to produce more weapons or to deliver them accurately to the United States. As Japan rebuilt after the war, the atomic bombings of Hiroshima and Nagasaki came to represent the folly of Japan’s imperial aspirations as well as American inhumanity toward the Japanese. The Japanese people held nuclear weapons in abhorrence. Japan’s leaders shared that view, but, having been on the receiving end of nuclear warfare, also developed a special appreciation for the bomb’s strategic value. As the war ended, thousands of American troops occupied Japan. After the nuclear attacks on Japan, the United States feared that the desire and ability to create this power would spread throughout the world. Washington learned that Japan had been much closer to its own nuclear bomb than previously thought. 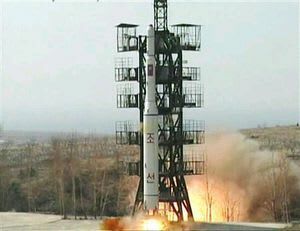 Destroying Japan’s nuclear-weapons capability became a high priority. In addition to negotiating international non-proliferation agreements, U.S. occupation troops destroyed several cyclotrons and other vestiges of Japan’s atomic bomb project to prevent Japan from resuming its nuclear program. 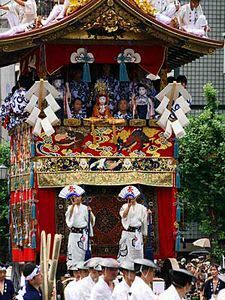 Though the troops could demolish the physical remnants of the F-Go project, they could not destroy the enormous body of knowledge Nishina and his team had accumulated during the war. 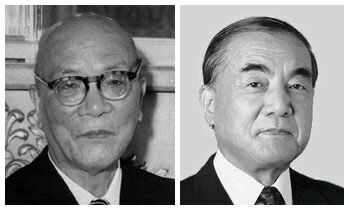 In the years to come the men behind F-Go would become the leaders of Japan’s nuclear power program. Their first priority was to stockpile enough uranium to ensure that nuclear research could continue in Japan. The war and the atomic blasts that ended it left a strong and enduring impression on the Japanese people. They abhorred the destruction of Hiroshima and Nagasaki. But the Japanese leadership recognized that in nuclear power there was an alternative to foreign energy dependence, a dependence that had hindered Japan since her entry into the industrial era. With the surrender of Japan, the United States became the preeminent power in the Pacific. But that position was challenged in 1949 with the communist victory in China and successful nuclear tests by the Soviet Union. The communists were challenging America in the Pacific, and Japan suddenly shifted from vanquished adversary to valuable ally. The United States was completely unprepared when North Korean troops swarmed south in 1952. Soon poorly armed, under-trained American Marines were surrounded in Pusan with their backs to the sea. For the first of many times during the Korean War, the American military commander, Gen. Douglass MacArthur, lobbied President Truman to use nuclear weapons. Those weapons were stored on the Japanese island of Okinawa. While American troops faced annihilation in Pusan, American B-29s waited with engines running to bomb targets in China and Korea. Later in the war, when Chinese troops entered Korea, nuclear-laden bombers flying from Japan would actually penetrate Chinese and North Korean airspace. One jet fighter bomber was shot down. The Korean War is an important milestone for Japan. Only seven years after the most humiliating defeat in its three-thousand-year history, Japan served as the staging ground for the same military that had defeated her. Japan’s own military at the time was practically nonexistent. As humiliating as the American servicemen who frequented Tokyo’s nickel brothels was the realization that Japan’s defense was wholly in American hands. As Truman played the game of nuclear brinkmanship with the Chinese, it became apparent that Japan’s defense now relied on the same nuclear bombs that had sealed her World War II defeat. In the early 1950s, the United States aggressively urged Tokyo to get involved in the nuclear power business. Having witnessed the destructive power of nuclear energy, President Eisenhower was determined to keep it under strict control. He also realized that the world would never accept a complete U.S. monopoly on atom-splitting technology, so he developed an alternative - Atoms for Peace. Eisenhower gave resource-starved countries like Japan and India nuclear power reactors as a form of technical, economic and moral support. Lacking the indigenous resources to rebuild its economy and infrastructure, Japan quickly turned to nuclear power as the answer for its chronically energy-starved economy. With the help of the American Atoms for Peace program, Japan began to develop a full-scale nuclear power industry. The Japanese sent scores of scientists to America for training in nuclear energy development. Desperate to regain a foothold in the international arena and reclaim its sovereignty and power after the war, the Japanese government willingly spent scarce funding on research labs and nuclear reactors. Japan’s wartime experience had prepared her to build a nuclear industry from scratch, but with Atoms for Peace, it was cheaper to import complete reactors from the West. 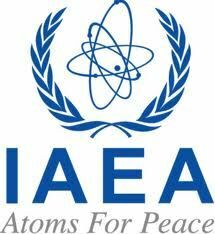 Atoms for Peace supported British and Canadian nuclear exports as well as American. Britain went first, selling its Magnox plant to Japan. General Electric and Westinghouse rapidly secured the rest of the industry, selling reactor designs and components to Japan at exorbitant prices. The Japanese industry quickly became a model for other Atoms for Peace countries. 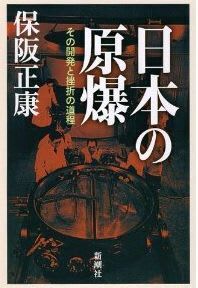 A generation of brilliant young Japanese scientists came of age during this period, all committed to the full exploitation of nuclear energy. Once the industry was vitalized, Japan resumed its own nuclear research independent from the United States. Encouraged by the Americans, in 1956 Japan’s bureaucrats mapped out a plan to exploit the entire nuclear fuel cycle. At that time the concept was only theoretical, no more a reality than the atomic bomb was when Einstein penned his infamous letter to Roosevelt in 1939. According to the theory, plutonium could be separated from the spent fuel burned in conventional reactors and used to fuel new “breeder reactors.” No one had yet been able to make it work, but this was the dawn of the age of technology. Scientists in Japan, America and Europe were intoxicated with the possibilities of scientific advancements. Japan’s central planners and bureaucrats were equally enthusiastic. The breeder reactor plan would make the most efficient use of the raw uranium Japan imported from the United States. It would wean Japan from her dependence on American energy and also create an enormous stockpile of plutonium - the most powerful and difficult to obtain bomb material. The United States deliberately allowed Japan access to the United States’ most secret nuclear weapons facilities while it transferred tens of billions of dollars worth of American tax paid research that has allowed Japan to amass 70 tons of weapons grade plutonium since the 1980s, a National Security News Service investigation reveals. These activities repeatedly violated U.S. laws regarding controls of sensitive nuclear materials that could be diverted to weapons programs in Japan. The NSNS investigation found that the United States has known about a secret nuclear weapons program in Japan since the 1960s, according to CIA reports. The diversion of U.S. classified technology began during the Reagan administration after it allowed a $10 billion reactor sale to China. Japan protested that sensitive technology was being sold to a potential nuclear adversary. 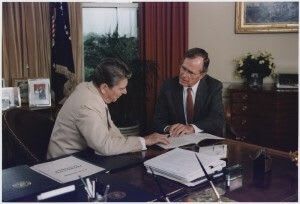 The Reagan and George H.W. 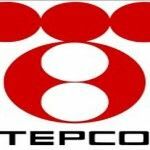 Bush administrations permitted sensitive technology and nuclear materials to be transferred to Japan despite laws and treaties preventing such transfers. Highly sensitive technology on plutonium separation from the U.S. Department of Energy’s Savannah River Site and Hanford nuclear weapons complex, as well as tens of billions of dollars worth of breeder reactor research was turned over to Japan with almost no safeguards against proliferation. Japanese scientist and technicians were given access to both Hanford and Savannah River as part of the transfer process. A year ago a natural disaster combined with a man-made tragedy decimated Northern Japan and came close to making Tokyo, a city of 30 million people, uninhabitable. Nuclear tragedies plague Japan’s modern history. It is the only nation in the world attacked with nuclear weapons. In March 2011, after a tsunami swept on shore, hydrogen explosions and the subsequent meltdowns of three reactors at the Fukushima Nuclear Power Plant spewed radiation across the region. Like the bombs dropped on Hiroshima and Nagasaki, Japan will face the aftermath for generations. A twelve-mile area around the site is considered uninhabitable. It is a national sacrifice zone. How Japan ended up in this nuclear nightmare is a subject the National Security News Service has been investigating since 1991. We learned that Japan had a dual use nuclear program. The public program was to develop and provide unlimited energy for the country. But there was also a secret component, an undeclared nuclear weapons program that would allow Japan to amass enough nuclear material and technology to become a major nuclear power on short notice. 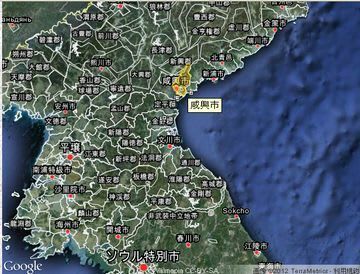 That secret effort was hidden in a nuclear power program that by March 11, 2011- the day the earthquake and tsunami overwhelmed the Fukushima Daiichi Nuclear Plant - had amassed 70 metric tons of plutonium. Like its use of civilian nuclear power to hide a secret bomb program, Japan used peaceful space exploration as a cover for developing sophisticated nuclear weapons delivery systems. Political leaders in Japan understood that the only way the Japanese people could be convinced to allow nuclear power into their lives was if a long line of governments and industry hid any military application. For that reason, a succession of Japanese governments colluded on a bomb program disguised as innocent energy and civil space programs. The irony, of course, is that Japan had gone to war in 1941 to secure its energy future only to become the sole nation attacked with nuclear weapons. Energy has always been Japan’s Achilles’ heel. Her need for oil in the face of an American embargo triggered Japan’s attack on Pearl Harbor, and the continued shortage was a recurring theme in her defeat in that war. Only one act could take more credit for Japan’s humiliation - the splitting of the atom that gave birth to the nuclear bomb. Now Japan would turn that same atom to its own purposes - to ensure a stable source of energy well into the next century and, equally important, to ensure that the homeland never again suffered the indignity of defeat. Japan approached the nuclear problem the same way it tackled the electronics and automobile industries. A core group of companies were each given key tasks with long-term profit potential. Then the government nurtured these companies with whatever financial, technological and regulatory support needed to assure their success. The strategy worked brilliantly to bring Japan from post-war oblivion to economic dominance in a single generation. The five companies designated for the development of nuclear technologies had to make major strides beyond the conventional light water reactors that had become fixtures in Japan under U.S. President Dwight Eisenhower’s Atoms for Peace program in the 1950s. Japan would have to do what the Americans and Europeans had failed to do - make an experimental breeder program a commercial success. Their hubris convinced them that they could. The Japanese, after all, were the masters of the industrial process. They had turned out automobiles, televisions and microchips superior to the Americans, with better quality and at less cost. Nuclear accidents are almost always the result of human error: sloppy operators without the proper education or training or who did not install enough redundancies. Such things happen to Americans and Russians, but not to Japanese. As China, North Korea, India and Pakistan developed nuclear weapon systems, Japan and her Western allies strengthened their alliances to counter the burgeoning threat. From a secret meeting between U.S. President Lyndon Johnson and Japanese Prime Minister Eisaku Sato in the 1960s and the participation of several subsequent American and Japanese leaders, the secret transfer of nuclear technology was part of an international strategy to fortify Japan against an ever-escalating East Asian arms race. This policy culminated during the Reagan administration in legislation that dramatically changed U.S. policy. The United States ceded virtually all control of U.S.-origin nuclear materials shipped to Japan. To the detriment of the world and her people, the Japanese government exploited the Japanese public’s well-known abhorrence of nuclear weapons to discourage the media and historians from delving into its nuclear weapons activities. 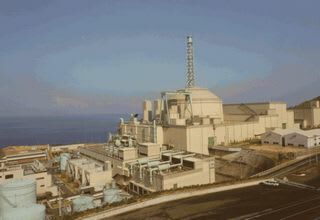 Consequently, until the March 2011 tragedy, the Japanese nuclear industry had largely remained hidden from critical eyes. The less than thorough International Atomic Energy Agency, the world’s proliferation safeguard agency, also turned a blind eye. In a rare glimpse of a Japanese industry that has remained top secret for so many decades, our investigation raises serious concerns about Japanese and Western nuclear policies and the officials who shaped those policies during and after the Cold War. International corporations and officials sacrificed the safety and security of the public to carry out the deception. Under the guise of a peaceful nuclear power program, they made huge profits.